Set against the compelling backdrop of the Pacific Ocean and nestled in a pine forest, the unique and intimate village of Carmel is like no other. The peaceful atmosphere implores you to relax. The Best Western Carmel Bay View Inn is in the heart of Carmel, next door to exclusive shops, galleries and restaurants. Fifteen championship golf courses and pristine white beaches are just minutes away. Select your ideal accommodations from tastefully decorated guest rooms and spacious two-room suites, all with a cozy fireplace and some with dramatic panoramic ocean views and private balcony. Enjoy the mild Carmel weather from outdoor decks or at the heated pool. A complimentary continental breakfast is served each morning. 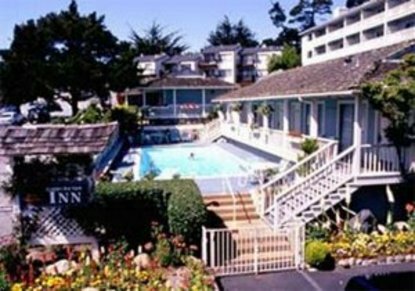 At the Best Western Carmel Bay View Inn, your every comfort is assured.